Located close to beautiful Lough Neagh and the busy Belfast International airport, Crumlin village is a picturesque location which has recently received some Environmental Improvements. New street paving, lighting, tree planting and street furniture were integral parts of this refurbishment and Hartecast are proud to be associated with the delivery of this scheme. 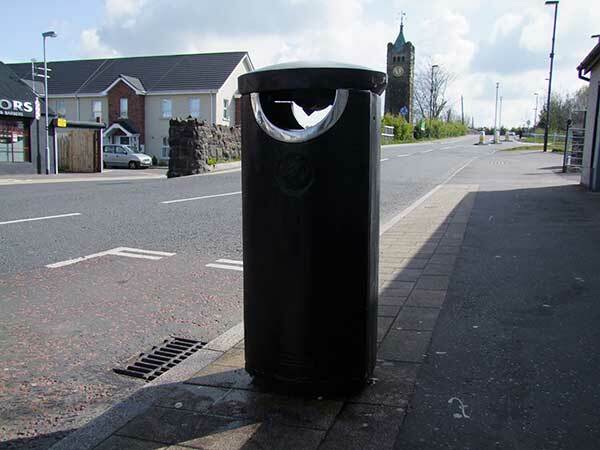 Hartecast’s durable and contemporary styled ductile iron litter bins have been positioned along the main street which is home to many local shopping outlets, residents and many daily visitors. 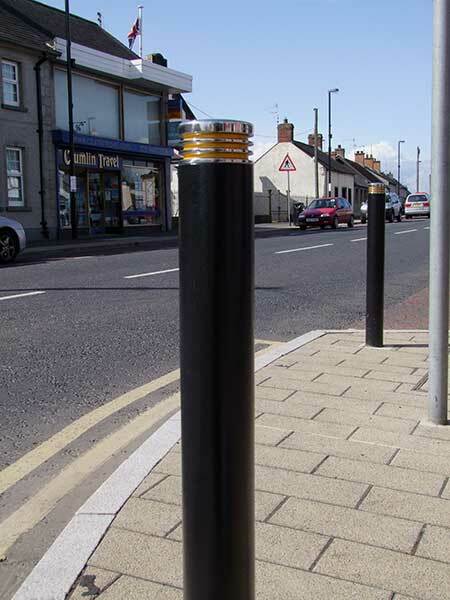 Stylish and robust painted stainless steel bollards with stainless steel caps were also utilized on this scheme and came complete with reflective strips for additional visibility.